“You have got to be kitten me,” I thought. “This is PAWsome!” I popped in to check out a new trend in casual eats and drinks — the cat cafe. If you are not fur-miliar with the concept of a cat cafe, let me tail you that they are far supurrior to boring old regular cafes with no cats! 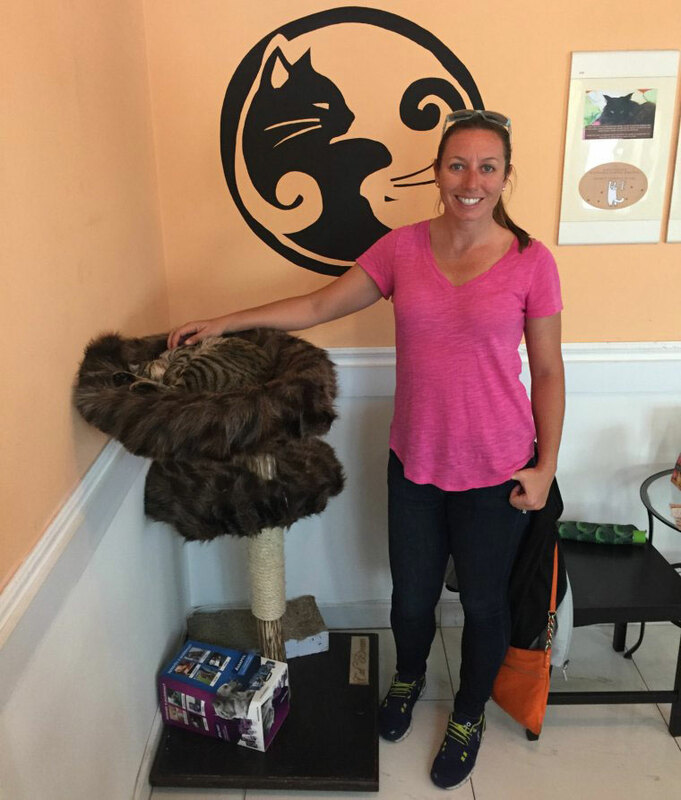 I visited two cat-themed establishments on this trip: Whiskers the Cat Pub, and The Cat Cafe. 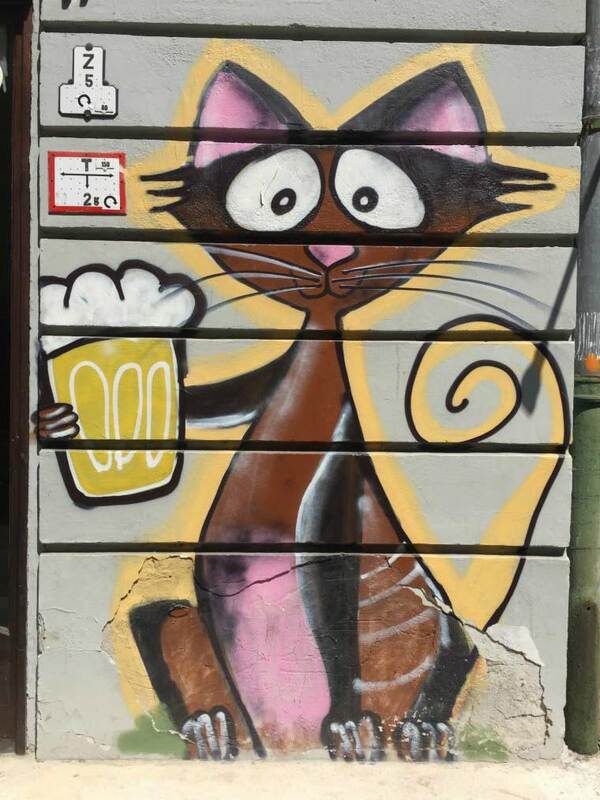 The Cat Pub had a full bar, while The Cat Cafe had a barista and a bunch of baked goods and sandwiches. Both locations had cat-themed decor and menus, but there were a few differences. 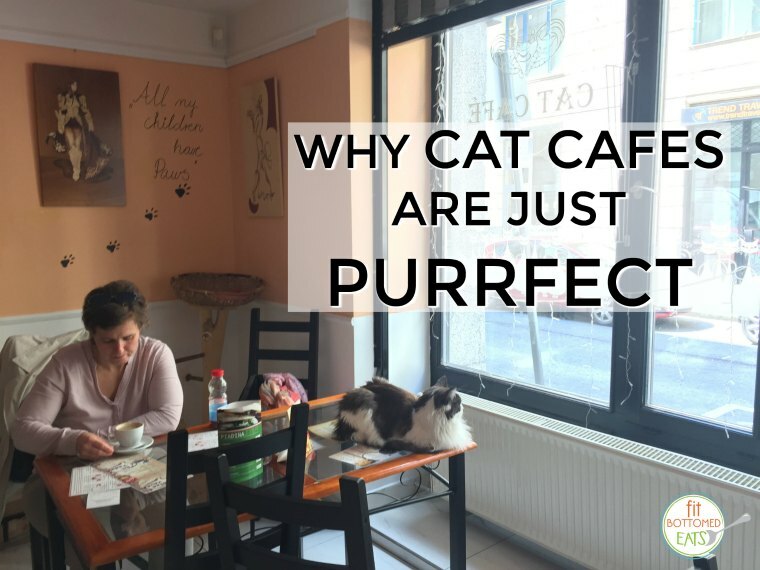 The Cat Cafe let their cats roam freely around the entire shop, while the Cat Pub kept the cats separate from the main entrance. 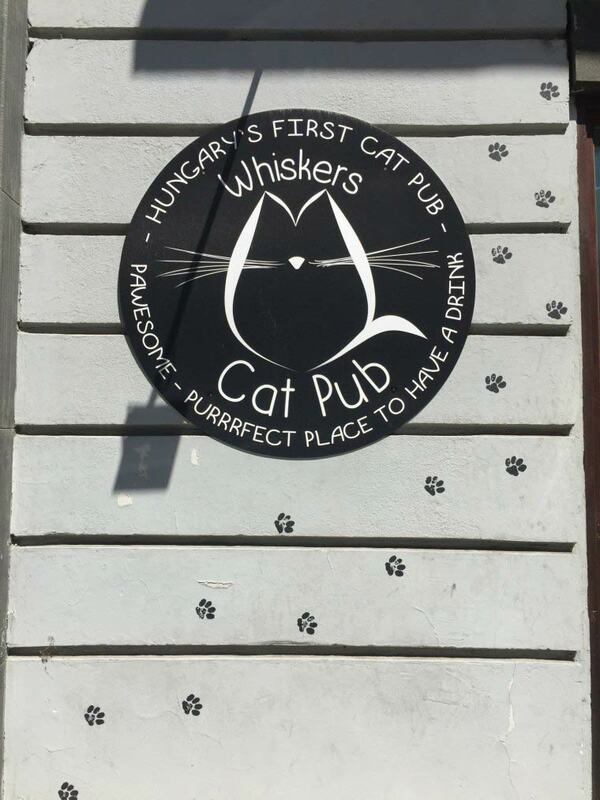 The beauty of both of these places is that you can enjoy your favorite beverage while petting and playing with feline friends. The atmosphere pawsitively calm and everyone was relaxed, cats and humans alike. The Cat Cafe had some epic pallet climbing walls and tons of comfy beds for the felines to lay on, while the Cat Pub had a smaller area for cat interaction with cat castles and some fluffy mats. Climbing wall at The Cat Cafe. Each place had a small cat door that led to a back room where the cats were free to roam when they tired of humans in their space. Be sure to get a coffee or a snack while you hang with the kitties. It is a business, after all! Let the cats approach you, and do not pick them up. Do not disturb sleeping kitties — it is exhausting to be a popular cafe cat. Although they may try to convince you to hand over part of your sandwich, do not share treats with the cats. Take as many photos as you wish — just don’t use the flash. 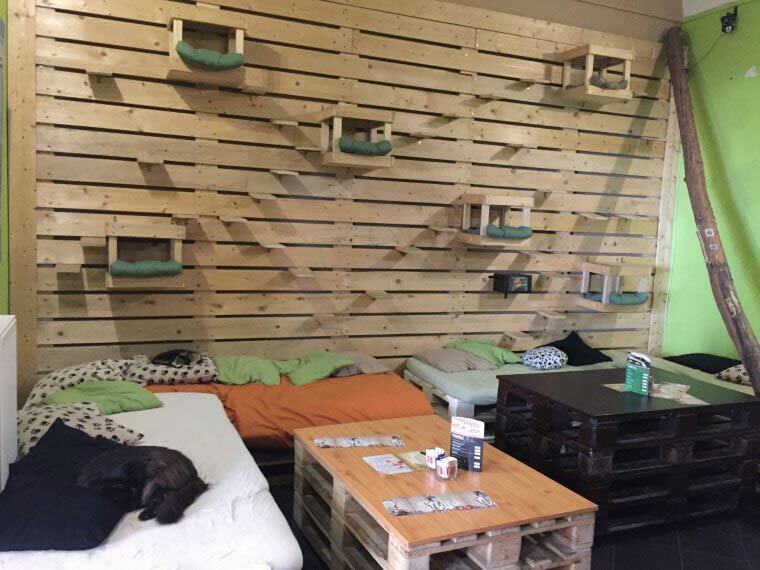 Just relax and enjoy the calm, quiet atmosphere of a cat cafe! Visiting the Cat Cafes was pawsibly the most fun I had on my trip. 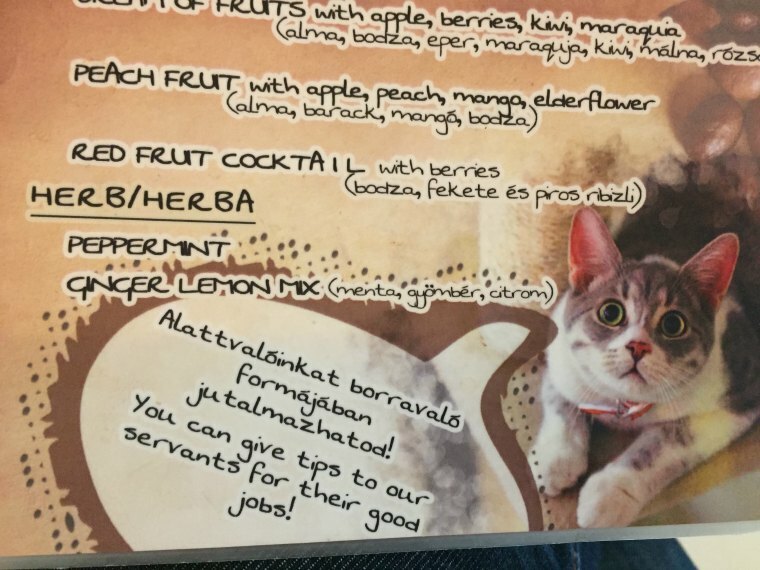 So next time you come across a Cat Cafe or Pub, don’t furget to sample a Cat-mopolitan or a Meow-ito while hanging out with friendly kitties.